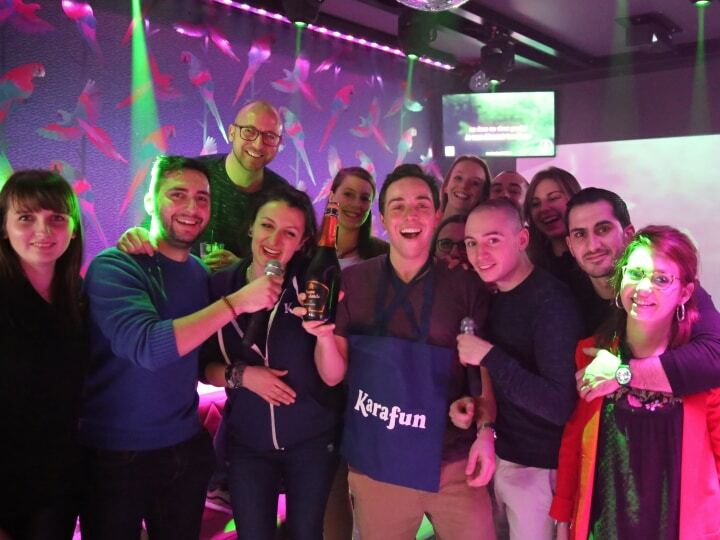 Just short of three months after opening KaraFun Bar Lille, we celebrated our 1000th reservation thanks to a group of friends, pleasantly surprised not only by the KaraFun Bar experience, but also by the goodies and champagne to celebrate the occasion! We'll take the opportunity to say a big THANK YOU! Thanks to each and every one of you who've picked up the microphone and supported us along the way! Thanks to you, music, excitement, singing and of course, fun are on the docket each week at KaraFun Bar !